Hello and welcome to some details of my riding career to date (2001). I was living, where I grew up, in Hawthorne,NJ. The year was 1993. 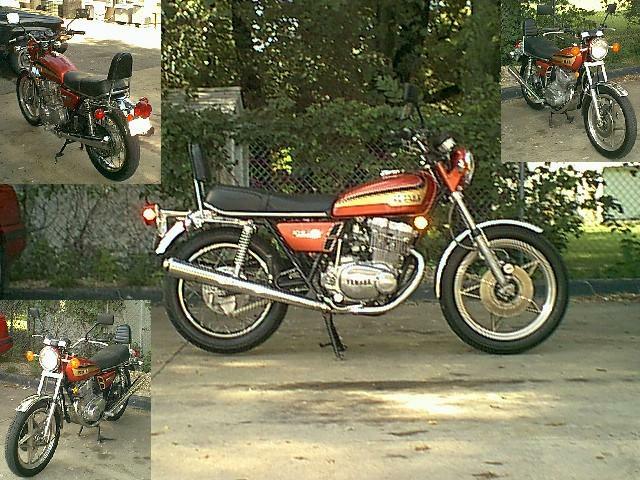 At the tender age of 22, I had acquired my motorcycle permit and needed a motorcycle. 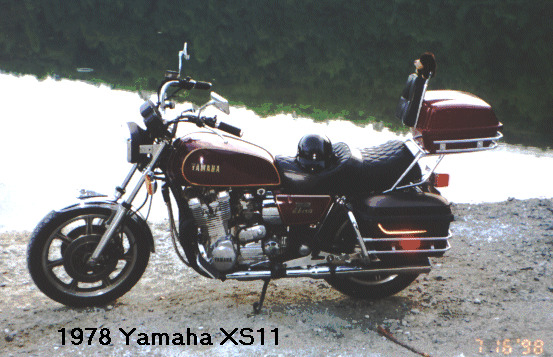 (1996) During a routine trip to a semi-local motorcycle junkyard (Weeks Salvage in Laurence Harbor) in southern NJ I found, sitting in the corner of the property, a Yamaha fairing which included a square headlight just like the one installed on my 78 XS11. I knew this fairing would match up perfectly with my bike. It was missing a windshield. I purchased the fairing for $40. Ordered a windshield. Vented. $60. All I needed was the mounting bracket and wiring harness. (June 29, 2000) At approximately 9:30am I embarked on THE longest saddle time I have ever logged to date. With my XS loaded to the max including a good selection of cassettes, I pulled away from my apartment in Columbia, SC headed for I-20 East and onto I-95 North headed for Hawthorne, NJ to visit family for the July fourth weekend. My plan was to stop and spend the night in Virginia Beach, VA. When I arrived there at around 5pm, I wasn't in the mood to shop around for a reasonably priced room so I continued on. Making my way from the Chesapeake Bay Bridge/Tunnel to I-13 through Maryland and taking the interchange to I-113 and on to Lewes, DE for the ferry across to Cape May, NJ. I arrived in the state of NJ at around 11:00pm. I had only 3 more hours to go. 750 miles after leaving Columbia, I finally landed "home" at approx. 1:45am, 6/30/2000. For my return trip from NJ to SC, I chose a different route. Taking I-287 west from Oakland,NJ to I-78 West thru PA. On to I-81 and finally connecting with I-77 to I-20 west in Columbia to I-26 west in St. Andrews area of Columbia, SC. Final Mileage tally: approx 1800 miles. While in NJ I did somewhere in the area of 300 miles worth of riding with some very good friends and family. (Feb. 2001) My XS11 is without trunk/luggage rack and saddlebags due to the fact that on my longest ride, both of my saddlebag mounting plates snapped at the shock top-mounting bolt and the luggage rack snapped at both rear mounting plates due to overpacking/stress from the road. I've yet to find someone in Columbia who can and will weld aluminum backing plates.